Locksmith Whitby is a mobile and local company, which is ready to help with any security concern. We are home lock experts, will help with any car key & lock problem, but will also be there to take care of commercial locks. You can depend on us 24/7 and for any service. Each locksmith on our team is knowledgeable, qualified, certified, and licensed. We have all it takes to install, rekey, replace, change and repair locks. Our techs have the equipment to replace keys, including high tech chip car keys. Trust our company to offer locksmith service in Whitby, Ontario, no matter what you need. What’s important is that our company is an experienced24 hour locksmith. This means that our team will continue to serve your lock & key needs when others shut their doors. Ours never close. We work night and day in order to handle emergency problems which might occur out of the blue. Is the window lock broken? No matter what your emergency is, our local locksmith will be there in no time. From lockouts to broken keys, we handle all urgencies as fast as possible. Call our company for any service. Whether you need assistance with home lock damage or with the lost car keys, our team will help quickly. Our residential locksmith is at your disposal for any service. Whether you want to replace, repair, or install locks, we can help. On top of that, we come quickly to cover urgent needs. Our techs won’t only replace high security locks but also bed & bath locks, cabinet locks and all kinds of locking systems in the house. 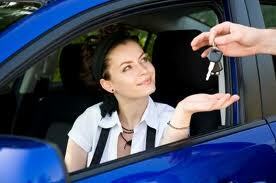 We provide fast auto locksmith Lost the car key? Can’t open the trunk? Need car door opening service? You can rely on our urgent service and high quality work. In order to deal with transponder key problems, our pros carry high tech equipment in their vans. Our team is also available for commercial locksmith You can call us to install access control and master key systems, electric deadbolts, panic bars and more. And you can always depend on us when you are locked out or need urgent lock rekey service and repairs. Our Whitby Locksmith is well-equipped, affordable, prompt, and 24/7. 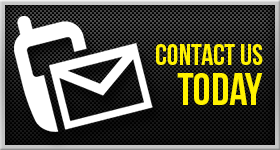 Just give our company a call and let us handle your key and lock needs today.